Dare to defy death in this adventure for the world’s greatest roleplaying game.The talk of the stree..
Bring the heroes, villains, and monsters from the jungle of Chult, as well as the Tomb of the Nine Gods to life in this latest series of fantasy miniatures! randomly sorted monsters and heroes in our exciting line of D&D miniatures, Icons of the Realms. Adventurers have been sent to the jungle peninsula of Chult, where they must face all manner of dangers in order to find the lost city. Adventurers will need all the help they can get to get through the Tomb and the Dungeon’s evil architect – The Lich Acererak. 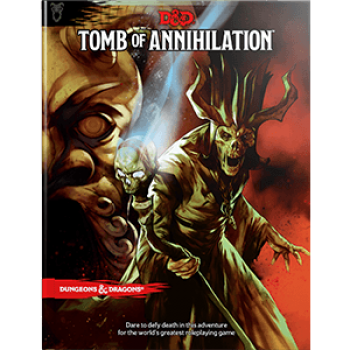 D&D Icons of the Realms: Tomb of Annihilation fantasy miniatures come in two product configurations, the Standard Booster and the Standard Booster 8 Ct. Brick. 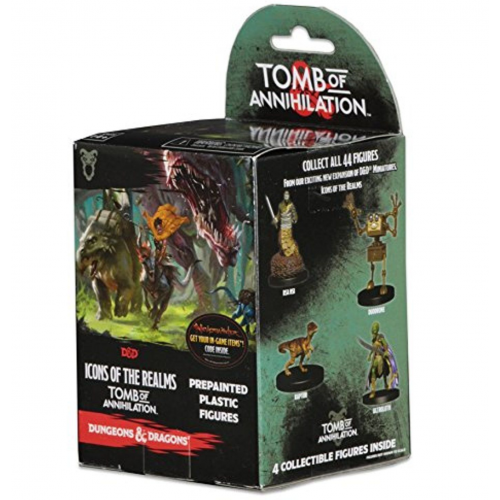 D&D Icons of the Realms: Tomb of Annihilation Standard Boosters each contains four figures total: 1 Large figure and 3 Medium or Small figures.